Parmenides is widely considered to be one of the more, if not the most, challenging and enigmatic of Plato's dialogues. It purports to be an account of a meeting between the two great philosophers of the Eleatic school, Parmenides and Zeno of Elea, and a young Socrates. The occasion of the meeting was the reading by Zeno of his treatise defending Parmenidean monism against those partisans of plurality who asserted that Parmenides' supposition that there is a one gives rise to intolerable absurdities and contradictions. The Parmenides in point of style is one of the best of the Platonic writings; the first portion of the dialogue is in no way defective in ease and grace and dramatic interest; nor in the second part, where there was no room for such qualities, is there any want of clearness or precision. The latter half is an exquisite mosaic, of which the small pieces are with the utmost fineness and regularity adapted to one another. Like the Protagoras, Phaedo, and others, the whole is a narrated dialogue, combining with the mere recital of the words spoken, the observations of the reciter on the effect produced by them. Thus we are informed by him that Zeno and Parmenides were not altogether pleased at the request of Socrates that they would examine into the nature of the one and many in the sphere of Ideas, although they received his suggestion with approving smiles. And we are glad to be told that Parmenides was ‘aged but well-favoured,’ and that Zeno was ‘very good-looking’; also that Parmenides affected to decline the great argument, on which, as Zeno knew from experience, he was not unwilling to enter. The character of Antiphon, the half-brother of Plato, who had once been inclined to philosophy, but has now shown the hereditary disposition for horses, is very naturally described. He is the sole depositary of the famous dialogue; but, although he receives the strangers like a courteous gentleman, he is impatient of the trouble of reciting it. As they enter, he has been giving orders to a bridle-maker; by this slight touch Plato verifies the previous description of him. After a little persuasion he is induced to favour the Clazomenians, who come from a distance, with a rehearsal. Respecting the visit of Zeno and Parmenides to Athens, we may observe — first, that such a visit is consistent with dates, and may possibly have occurred; secondly, that Plato is very likely to have invented the meeting (‘You, Socrates, can easily invent Egyptian tales or anything else,’ Phaedrus); thirdly, that no reliance can be placed on the circumstance as determining the date of Parmenides and Zeno; fourthly, that the same occasion appears to be referred to by Plato in two other places (Theaet., Soph.). Many interpreters have regarded the Parmenides as a ‘reductio ad absurdum’ of the Eleatic philosophy. But would Plato have been likely to place this in the mouth of the great Parmenides himself, who appeared to him, in Homeric language, to be ‘venerable and awful,’ and to have a ‘glorious depth of mind’? (Theaet.). It may be admitted that he has ascribed to an Eleatic stranger in the Sophist opinions which went beyond the doctrines of the Eleatics. But the Eleatic stranger expressly criticises the doctrines in which he had been brought up; he admits that he is going to ‘lay hands on his father Parmenides.’ Nothing of this kind is said of Zeno and Parmenides. How then, without a word of explanation, could Plato assign to them the refutation of their own tenets? The conclusion at which we must arrive is that the Parmenides is not a refutation of the Eleatic philosophy. Nor would such an explanation afford any satisfactory connexion of the first and second parts of the dialogue. 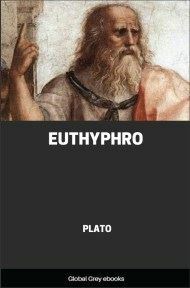 And it is quite inconsistent with Plato’s own relation to the Eleatics. For of all the pre-Socratic philosophers, he speaks of them with the greatest respect. But he could hardly have passed upon them a more unmeaning slight than to ascribe to their great master tenets the reverse of those which he actually held. Two preliminary remarks may be made. First, that whatever latitude we may allow to Plato in bringing together by a ‘tour de force,’ as in the Phaedrus, dissimilar themes, yet he always in some way seeks to find a connexion for them. Many threads join together in one the love and dialectic of the Phaedrus. We cannot conceive that the great artist would place in juxtaposition two absolutely divided and incoherent subjects. And hence we are led to make a second remark: viz. that no explanation of the Parmenides can be satisfactory which does not indicate the connexion of the first and second parts. To suppose that Plato would first go out of his way to make Parmenides attack the Platonic Ideas, and then proceed to a similar but more fatal assault on his own doctrine of Being, appears to be the height of absurdity.